The QED A150 Saliva Alcohol Test is easy to operate and provides quantitative results that are as accurate as a blood test. This self-contained test serves customers anywhere, any time. Uses include home, workplace, criminal justice, hospital emergency, psychiatric and occupational health departments to name just a few. 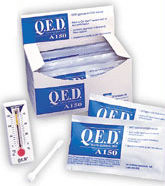 Q.E.D.® A150 Saliva Alcohol Test has a quantitative range of 0 - 145 mg/dL (0.0% - 0.145% BAC). Quantitative results in 2-5 minutes Reads like a thermometer Long shelf life Built-in quality control spot CLIA waived High correlation to blood analysis Non-invasive No instrumentation required DOT-approved Screening Test Technician (STT) video training kit available. In clinical trials, saliva alcohol levels measured by the Q.E.D.® demonstrated high correlation to blood analyzed by gas chromatography (r=0.98). 1Collecting saliva: Actively swab around the cheeks, gums, and under the tongue for 30-60 seconds until the cotton swab is thoroughly saturated. 2Filling the capillary: Place the Q.E.D.® test on a flat surface. Gently twist the collector into the entry port. Apply gentle steady pressure until the pink fluid passes the QA Spot at the end of the device. 3Interpreting test results: Allow two (2) minutes for the Q.E.D. A150 test to develop. The QA spot must be dark purple to indicate a valid test. If the same color forms a bar within the measurement scale, read the highest point. Ignore bubbles. What does a positive reading look like with the Q.E.D. test? When a QED test result is positive a dark purple color bar forms within the measurement scale. This color is distinctly darker than the pink or orange color seen as the sample fills the device. The color bar on a positive test - the same color seen in the QA spot develops in 2 minutes. What does the Clinical Laboratory Improvement Act (CLIA) wavier mean for workplace testing? Because work site testing is considered forensic testing, CLIA regulations do not apply. The waived status for the QED® Saliva Alcohol Test under CLIA '88 makes testing easier in hospitals, rehabilitation centers and treatment facilities where our test is used as an in-vitro diagnostic tool. Beverage alcohol (ethyl alcohol) is absorbed directly and unchanged into a person's body and is evenly distributed throughout the blood stream and other bodily fluids, including saliva. 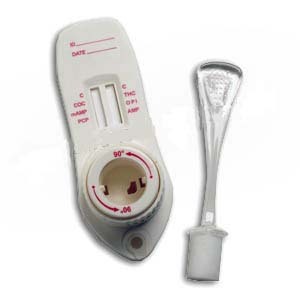 The QED® test measures the amount of alcohol in bodily fluids, commonly called blood-alcohol concentration, or BAC. Residual alcohol in the mouth just after a person takes a drink is quickly absorbed, swallowed, or evaporated, and a person's mouth is "clear" of residuals 10 minutes after eating or drinking. Do you have a Screening Test Technician (STT) training video for non-Department of Transportation (DOT) settings? How can a company use the Screening Test Technician (STT) training video to certify an STT if no one at the company is already certified? Think of the STT training video as a high-tech version of the DOT's model course for STT's, published by the Government Printing Office. A company always had the option to order the DOT model course, have someone read the entire document, and then let that person certify an STT. The video simplifies the process. A company's "facilitator" can now watch the video and read through a special guide, then show the video to a student and use the training aids to certify that person as an STT. Can a "facilitator" become certified while taking a student through the video course? No. The DOT ruled that STT's cannot certify themselves. However, once a student is certified, the student can be the facilitator, and the facilitator becomes the student. The DOT has released its proposed new rule, the comment period on which closed April 7, 2000. The DOT is advocating re-certification for all STT's every two years. OraSure Technologies, Inc. will continue it's "train the trainer" program for STT's to help people comply with current and future regulations. Will the QED® test react with ketone often found in the saliva of diabetic patients? No. Unlike breath analyzers and other saliva tests, the QED® test is specific to ethyl alcohol and will not cross-react with acetone and ketone produced by diabetic patients. Will the QED® device work if it is stored at temperatures outside the range on the packaging? Storing and using QED® tests at room temperature (15-30°C, 59-86°F) insures optimal performance and a full shelf life. 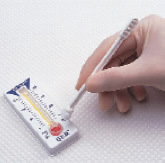 However, the QED® test will work fine if exposed to temperatures outside that range for limited periods. The QED® device has been tested under a wide range of temperatures and storage conditions -- simulating the inside of a vehicle glove box on a hot summer day (about 120°F) and the lonely cold of North Dakota in January (about 0°F). In all cases, the test performed as it should. 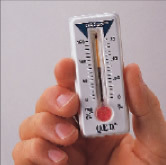 Before using a QED® Saliva Alcohol Test exposed to extreme heat, allow the device to cool to room temperature; if the QED® device is exposed to extreme cold, put it into a pocket to warm it up. How can companies using the QED® test in very remote areas comply with the DOT's requirement that confirmation tests on positive screening tests must be conducted within 30 minutes? Why should I buy the QED® Saliva Alcohol Test if I need an Evidential Breath Testing (EBT) to confirm positive test results? The QED® test is much less expensive to operate than a breath test, unless you conduct a very high volume of tests in a central location. By and large, each test done on saliva instead of breath saves money. Plus, performing two independent tests is more legally defensible on the rare occasion an employee does test positive for alcohol. What are the quality control (QC) requirements for the QED® test? Control checks, using OraSure Technologies' QED® ethanol control solution should be run once per lot number of QED® tests. CLIA waived status eliminated the need for daily control checks. The Q.E.D. Saliva Alcohol Test (Only DOT Approved & CLIA Waived Alcohol Saliva Test) is an on-site, low-cost alternative to breath or blood testing. The test is easy to operate and provides quantitative results as accurate as a blood test. The Q.E.D. test serves customers in workplace testing, criminal justice and in hospital, emergency, psychiatric and occupational health departments. The test is designed to be administered by professional users. The Q.E.D. test is to be administered by a certified Screening Test Technician or trained professional. The test is run on saliva by swabbing the mouth, and then pressing the saturated swab into the red center. It will run like a thermometer, with both a control line, and a line indicating the level of alcohol in the system of the individual detecting the Blood Alcohol Level of an individual up to .15. Collecting saliva: Actively swab around the cheeks, gums, and under the tongue for 30-60 seconds until the cotton swab is thoroughly saturated. Filling the capillary: Place the Q.E.D.® test on a flat surface. Gently twist the collector into the entry port. Apply gentle steady pressure until the pink fluid passes the QA Spot at the end of the device. Interpreting test results: Allow two (2) minutes for the Q.E.D. A150 test to develop. The QA spot must be dark purple to indicate a valid test. If the same color forms a bar within the measurement scale, read the highest point. Ignore bubbles.